The efficiency and functioning of the needling are well established and documented. It is an efficient alternative to botulinum toxin, filler injections or other invasive treatments. 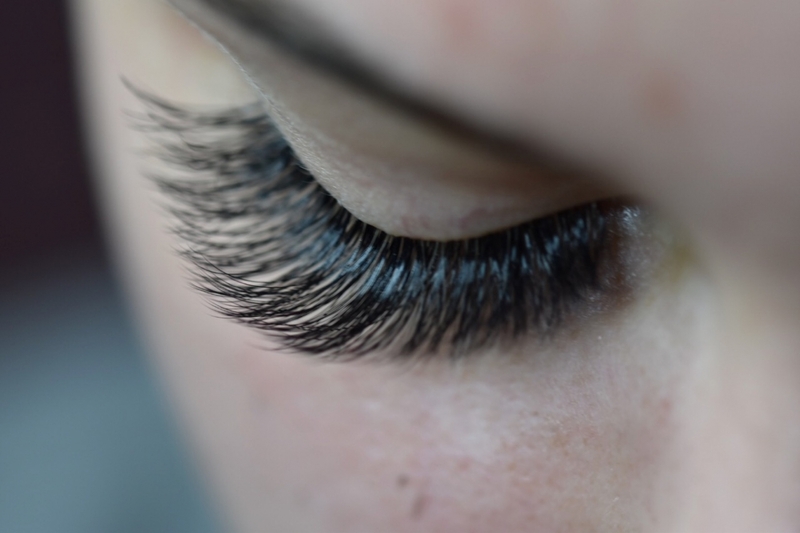 With the fine needles rolling over the skin surface, small pores develop in the fraction of a second. The fine needles of the Roller penetrate skin’s surface in order to suggest a certain injury. Skin reacts with the activation of the body’s own repair mechanism. The body immediately releases increased collagen, elastin and hyaluronic acid in order to “repair” the skin structure and to accelerate its regeneration processes. Hyaluronic acid is found naturally in the skin. It retains water within the skin cells and is what makes the skin appear smooth and soft. As we age, our levels of hyaluronic deplete and the skin starts to sag and look dull, dry and dehydrated. By increasing the amount of hyaluronic acid into the skin with dermaroller the skin will become much smoother, hydrated and plumper. The micro-pores developing by rolling the needles over the skin enable the effective infusion of ingredients. During the micro-needling the tissue around the micro-pores as well as the epidermis are not affected and stay intact. 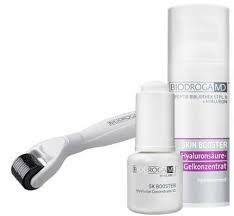 After the very first treatment skin looks fresher, younger and firmer and its metabolism is regulated. Micro-needling is recommended as cure treatment with at least 5 treatments. In order to maintain the treatment success, to improve and accelerate the skin regeneration, BIODROGA MD offers a Beauty Roller with a needle length of 0,25 mm for the use at home. For an optimal improvement of the skin tone 5-6 treatments at intervals of 4 weeks are recommended, depending on the skin condition, skin type and the desired treatment goal. 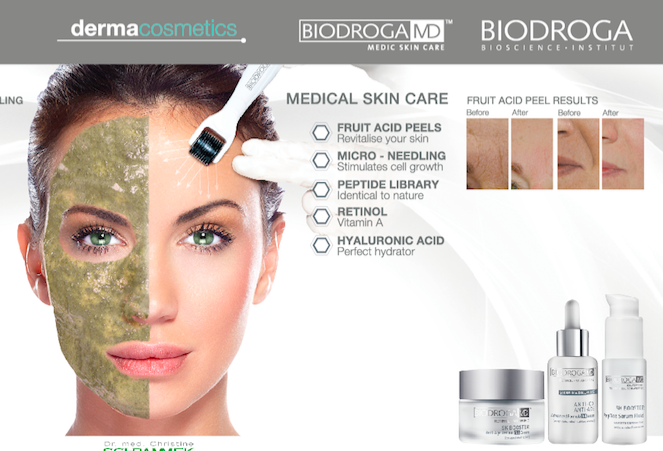 The BIODROGA MD FRUIT AHA treatments can perfectly be combined with the Micro-Needling.